Convert Text to Speech on the go and send your voice SMS Campaign. Make your marketing campaigns earn by recording and sending voice messages in Bulk. Save on call center costs and optimize your engagement expenses. Our tools allow you to customize messages for different customers and even pick up files from your FTP servers. Analytics like never before gives you complete control on who received, who listened, for how long and best of all capture customer repsonese in DTMF for further OBD. If you are political party and want to reach each and every citizen of your area, do a voice broadcast. Record the message in the voice of the leader so as to give a personal feel to the end users and send out the voice message to millions of people at just one click. You can check out the real time reports too to check the effectiveness of the campaign. Be it a payment for credit card payment or a EMI, send a payment reminder on voice to your customers to give them a quick reminder about the pending payment with exact amount that they need to pay with our text to speech function. Take your product to billions of people at just one click in the language most preferable by your customers by our robust platform. Make a jingle and play that on the voice clip and be there in the mind of your customers when its time for them to make the purchase. Send your clients health reminders or medicine reminders time to time to give them the care they deserve being your customers. Scheduled the voice clips to be played in advance for a period of time with our voice platform. Never miss a customer, support your OTP with a backup, send voice OTP all over the world with the help of a trigger or a fault report. WHY VOICE BROADCASTING SERVICE IS BENEFICIAL? Every company looks for an environment where they can grow and sustain while gauging their capability without losing their investment. FLEXIBILITY: – In today’s world, everyone is busy and try to utilize their time in beneficial ways. Voice Broadcasting gives the flexibility to those people who prefer to read the messages than taking calls. VERSATALITY: – It is quite beneficial when it comes to a large group or associations. Be it Schools, Universities, Teams, Government agencies, Healthcare, and Banking, it is becoming appropriate for all kind of trade houses. 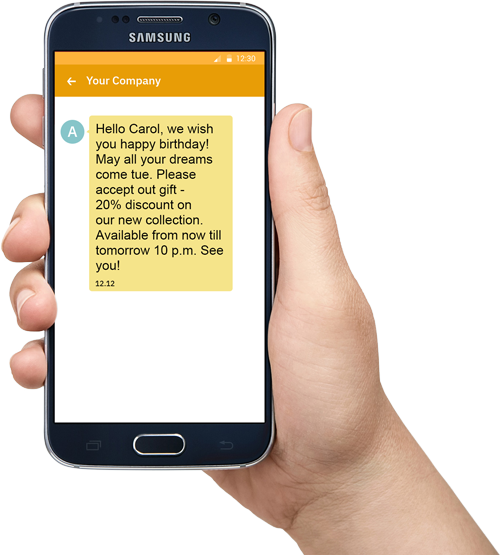 PERSONAL TOUCH: – This service gives the privilege to the users to send the text messages in their own personalized way. LEAD GENERATION: – It is very significant to connect with the target customers who could turn out to be a prospect lead for the business. SURVEYS AND FEEDBACKS: – When it comes to raising funds, organizing conferences, and creating social awareness among the multitude, Voice Broadcasting service helps to improve the businesses and make it productive for the future aspect.